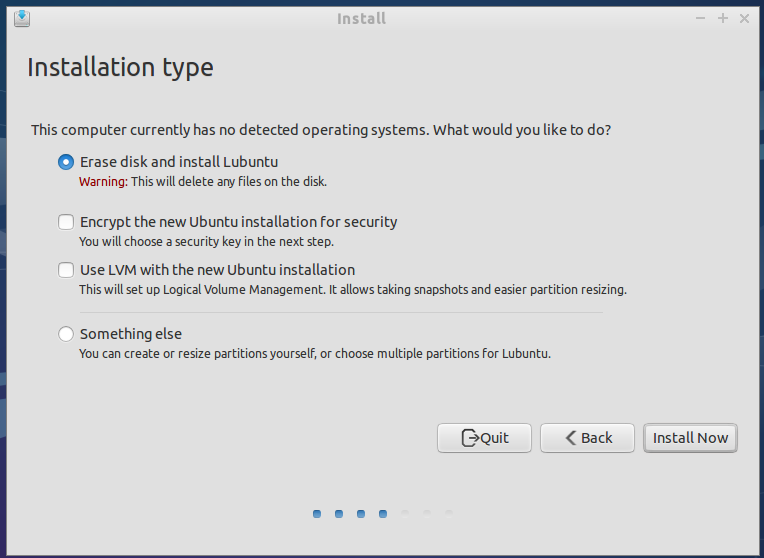 When the Live CD is booted and the installation gets as far as the "Installation type" dialog, there is no option to resize the existing partition or install along side it. Instead there are only three options : "Upgrade...", "Erase...", and "Something else" It's not a matter of the partition not being found. The dialog does say "This computer currently has Ubuntu Saucy Salamander on it. What would you like to do?" and it does offer to upgrade. It's just that the resize option is missing. Here is a variant of that. Upgrade is missing, so the installer is not finding anything at all on the HD despite there being a bootable Saucy install there. Is there enough room for the installer to give the option?